You will find a handful of learning resources throughout this article. To get the most out of this page, be sure to click the links and explore the available resources that are available. In them, you will find articles, eguides, white papers and educational resources that are designed to give you a deeper understanding of a monitoring center operation. 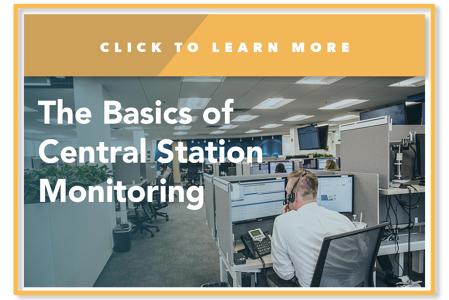 A central station, or monitoring center, functions as a support system for critical event management devices, such as: security alarm panels, gas and temperature gauges, PERS devices, crash detection devices, integrated video systems, and even mobile applications. The services provided by monitoring companies are often labeled as wholesale alarm monitoring or third party monitoring. These an essential service for companies who want to build a recurring monthly revenue stream, and for those who need the status of a life or property maintained in a desired state. Oil fields, for example, have little room for error when it comes to the level of gas content, air pressure, or temperature in any particular area. A state-of-the-art monitoring center is the culmination of several important factors, each of which plays an essential role. If any one of the core aspects of a central monitoring station is removed, the foundation of the operation is compromised. When it comes to people, each team member – from operators to technology experts – plays a vital role to ensure that it is optimized for effectiveness and efficiency. The automation software, which will be covered more in depth in a different section, ensures that alarms are handled consistently. It provides scripts for operators based on a series of variables provided by the devices and situations described by subscribers. Finally, redundant technology, which consists of databases, firewalls, signal paths, networks, access switches and various other items, works together to provide a seamless infrastructure to facilitate the reception and management of critical events. Operators are the people who respond to and manage events when an alarm occurs. They are responsible for delivering exceptional service to account contacts, making important decisions in short time windows, and ensuring that its customers are well represented. Operators are selected for hire based on core characteristics that are essential in the monitoring center environment. 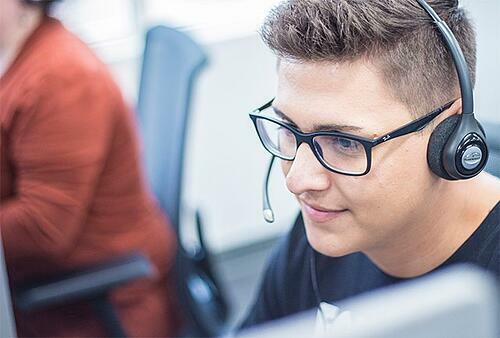 According to our hiring and customer satisfaction statistics, operators who demonstrate the three characteristics produce the greatest level of customer service and operational output. In terms of efficiency, accuracy, and productivity. Empathy is an obvious characteristic, because empathy is essential for any person who works to provide meaningful and personable customer service. Attention to detail goes without saying, because if an operator is incapable of following the standard operating procedures for specific incident types then the subscriber will not receive the response they need in a timely manner. An operator with a close attention to detail will properly document incidents, respond to important details provided by subscribers under stress and efficiently deliver solutions to problems. Passion for service is a characteristic that is more easily found in young adults. Because of an intrinsic desire to provide ethical and valuable service in the workplace, people born within the millennial generation tend to provide better service than their more senior counterparts. People with this trait produce greater output results, work more efficiently and produce a more meaningful customer experience. The second core aspect of a central monitoring station is its automation software. It provides features such as: scripting, procedure automation, emergency adaptation, need forecasting, and the ability to easily integrate with peripheral technologies. The automation software is the lifeblood of the monitoring center, providing scalability across hundreds of devices and signal types, as well as individual customer specifications. The automation software gives operators the tools necessary to act as representatives of ten different companies across ten different calls without having to spend immeasurable hours training for ten different service styles. In addition to the leverage it provides the operators, a first-rate platform will easily integrate with technologies that are essential to an alarm-based company. Stages – AvantGuard’s automation software – has advanced API tools and customizable software development capabilities to help our monitoring operation adapt to the differing needs of companies across multiple industries. 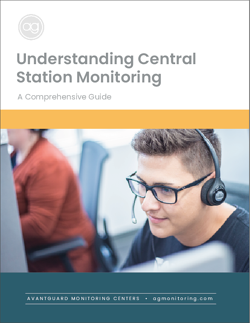 Companies who need more than just monitoring, like security or PERS dealers, should look for additional services provided by central monitoring stations when investigating potential partners. Additional services most frequently take the form of tools to help technicians test accounts or personalized branding for a consistent customer service experience. 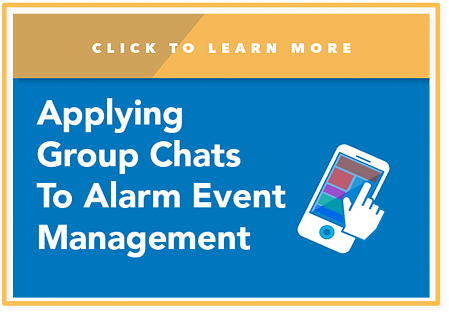 The first additional service that enhances the customer experience is group chat alarm management for subscribers. Basically, instead of receiving a traditional phone call after an alarm is triggered, subscribers receive a text message that prompts them to enter a secure group chat with other members on an account. 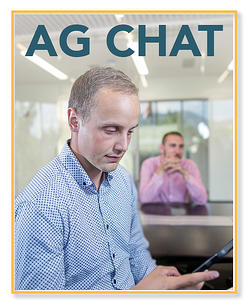 While in the chat environment, they can collaborate with each other to assess the situation, provide unique insights and finally decide to request dispatch or disregard. Group chats help the overcome problems from the fact that very few phone calls get answered. Texts, on the other hand, have a much higher response rate, and at least provide an alert that a subscriber can see when an emergency arises, even when they are in an important meeting or would not answer a call for any particular reason. If anything, applying group chats to alarm management scenarios is an adaptive tactic to communicate with changing subscriber preferences. According to national statistics, texts have a 99 percent open rate, whereas calls go unanswered more and more. So, considering emergency scenarios where a home or business is on fire or being burglarized, subscriber response is crucial to resolving situations as quickly as possible. In addition to response-optimizing tools like group chats, companies can take advantage of additional tools like caller ID injection, which makes calls from the central station look like they are coming from the company itself. As discussed earlier, calls go unanswered more and more each year, so one factor that can improve the chances of a call getting answered is having the caller ID appear to come from an important source. It is important to note, that even though subscribers will recognize the name on the caller id, they often believe that the call is sales-oriented, not because of an emergency. A tool like private label web access gives companies and subscribers alike the ability to input and edit account information on the go. With this ability, companies and subscribers no longer have to call the monitoring center to update the information. This reduces the amount of time spent on the company’s accounts, improving their alarm factor score and accessibility in the data entry process. 24 hours answering services can help companies supplement the absence of an in-house reception service. Therefore, when a technician needs to be alerted of a service need, the details can be sent to a designated source so the company can take the appropriate action. 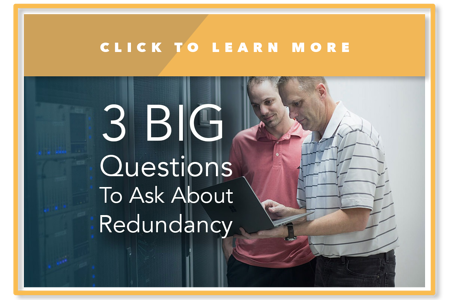 Redundancy is a blanket term that encompasses a variety of redundancy models and failover procedures. There are several different types of redundancy, each vastly different in terms of effectiveness and subscriber safety expectations. The differences may cause readers to ask, what it really means have redundancy. Apart from helping the monitoring company retain service during natural disasters or systematic outages, redundancy works in the background, every minute of every day, ensuring that each signal reaches an operator. Without redundant signal paths, for example, some may get lost along the way and never get a response. Therefore, it is essential that several communication paths are put in place to ensure each signal is accounted for. The philosophical question is often asked, "If a tree falls in a forest and no one is around to hear it, does it make a sound?.” Apart from the theoretical argument, it has real implications in a monitoring scenario, especially when critical issues arise and need to be resolved. Redundancy works to eliminate the chances of critical situations to go untreated. For dealers looking for a new monitoring partner, there are three important questions to ask about redundancy. They are all very simple to ask and will produce simple answers from the monitoring provider. Is their failover technology cold, warm or hot? Are their locations UL-Listed or TMA 5 Diamond certified? Factors such as downtime after system failures, database backups, firewalls, power sources and networks are all core aspects to inquire about when vetting a potential monitoring partner. That is because they all influence the speed at which a station will recover from a system failure, power outage or natural disaster; each of which can potentially put subscriber lives and property at risk. 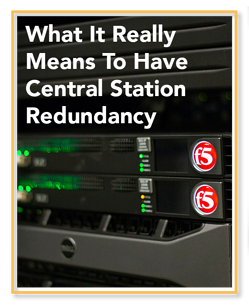 For security companies who already have an internal central station, redundancy may seem like a far-off dream with no real timeline. 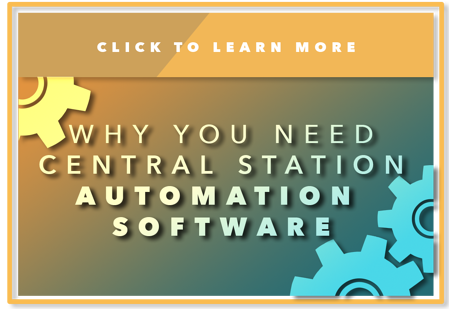 That is because the investment required to open a second central station comes with unrealistic obstacles, especially when the size of their subscriber base doesn’t justify the resource allocation, and industry-leading automation software has minimum subscriber limits in order to be utilized. That is why security companies may look for alternative approaches to achieving redundancy and automation software that don’t require them to get rid of their in-house operations. 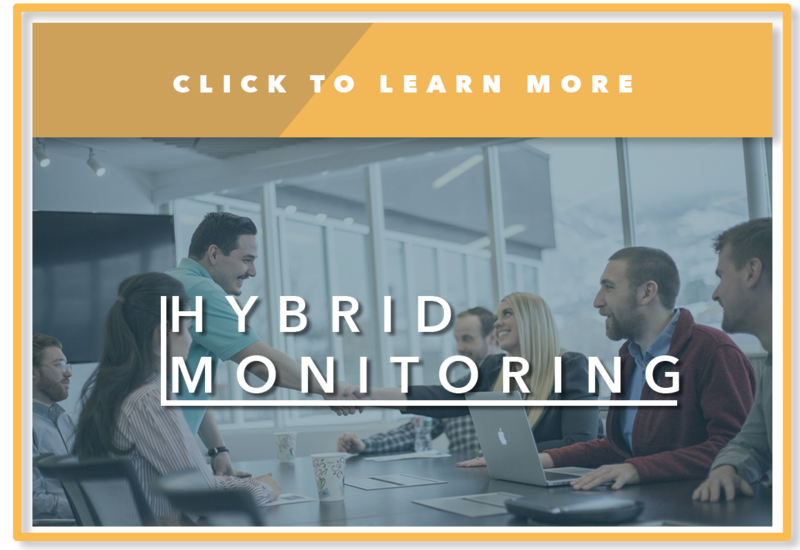 Hybrid monitoring really is the ultimate solution for security companies looking to gain redundancy and advanced automation software while retaining their in-house operation. In this type of partnership, all the advanced resources are hosted through the cloud, reducing the technological infrastructure required to exist in the dealer’s central station. Depending on the particular version of the various hybrid partnership models that is applied, dealers can reduce technology investments significantly by outsourcing their receiver technology, communication paths, redundant technology and monitoring infrastructure. That way, they can keep their operators and desired service style without having to make onerous technological investments. The goal of this guide is to educate companies that are interested in properly evaluating potential monitoring partners. 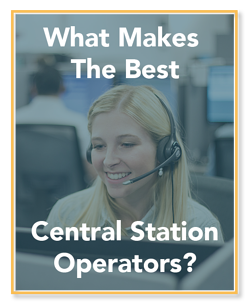 Each of the above sections briefly discusses the various aspects that are involved in operating an effective central station. Readers should investigate each of the attached learning materials to further educate themselves, first in preparation for the evaluative process, and finally for the decision-making stage. As mentioned before, the three essential elements of the central station are: people, automation and redundant technology. Each is a parent to numerous aspects, and should be systematically evaluated in order to properly identify where potential risks may lie. Finally choosing a monitoring partner can be a time-consuming process and should consist of multiple conversations, facts about monitoring and technological capabilities as well as how a partnership takes form. It may be enough for some companies to pay for basic monitoring and leave it at that. Others will look for a partner that helps optimize the customer service process and works as an actual business partner to help optimize operations, reduce waste and ultimately provide mutually beneficial results.